Vitamin D‚ the “sunshine vitamin”‚ is an essential and beneficial nutrient required for basic health. The form naturally synthesized by our bodies from sunlight is vitamin D3. 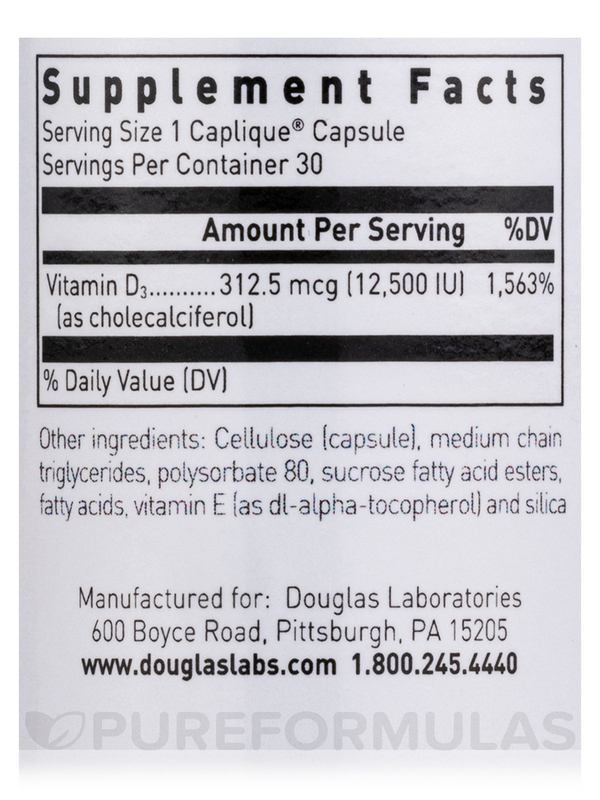 Douglas Labs’ D-Sorb™ contains 12‚500 IU of vitamin D3 in a highly absorbable self-assembling nano-colloid caplique®. Vitamin D is capable of regulating the proper absorption of calcium‚ which is vital for bone metabolism and maintenance. While vitamin D is mostly known for supporting bones‚ it also works to maintain cell growth‚ nerve functions‚ and proper inflammatory reactions. Since vitamin D is fat soluble‚ it can often be difficult for the body to store healthy amounts for an extended period. Different individuals experience varied expose to sunlight and many of them may find themselves vitamin D deficient. 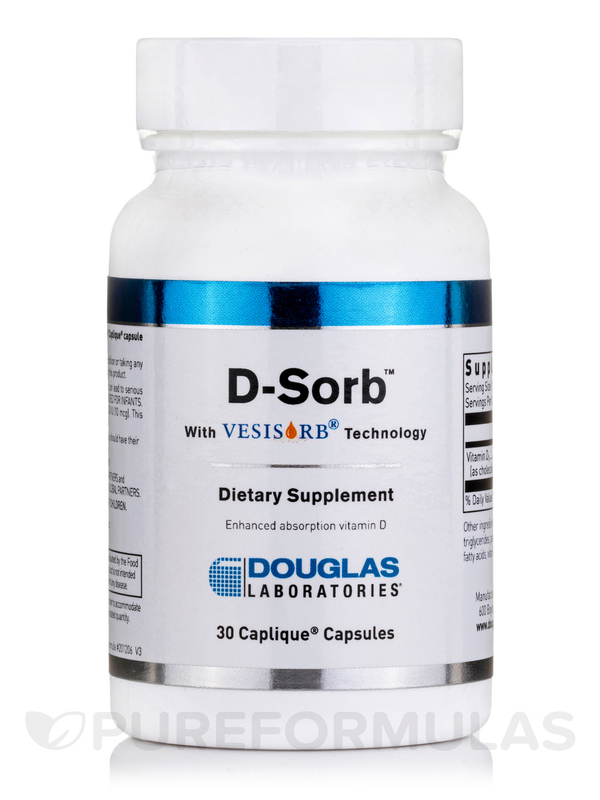 Douglas Labs’ D-Sorb™ utilizes patented VESIsorb® technology that creates a highly uniform distribution of droplets upon mixture with an aqueous systems. 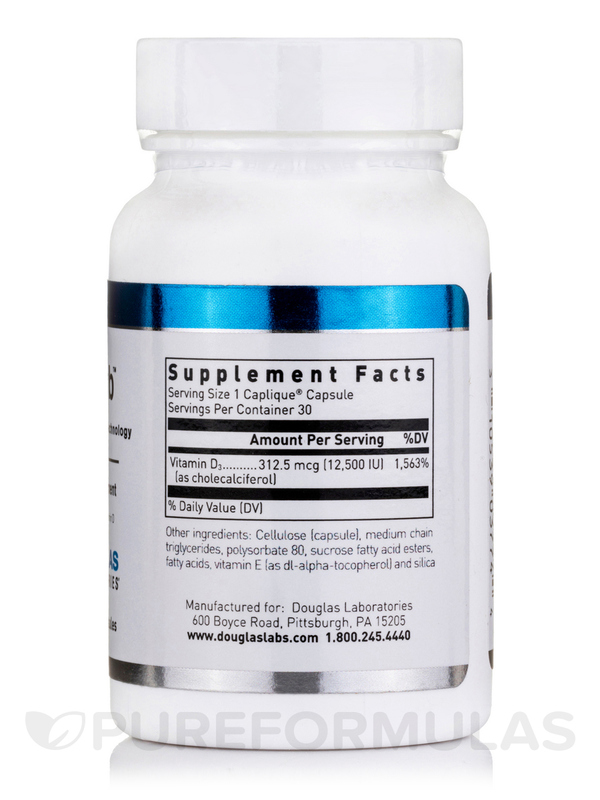 This means that the body can absorb the delivered vitamin D3 with greater efficiency. Because of its high absorbability‚ Douglas Labs’ D-Sorb™ may be taken once daily or as directed by your healthcare practitioner. 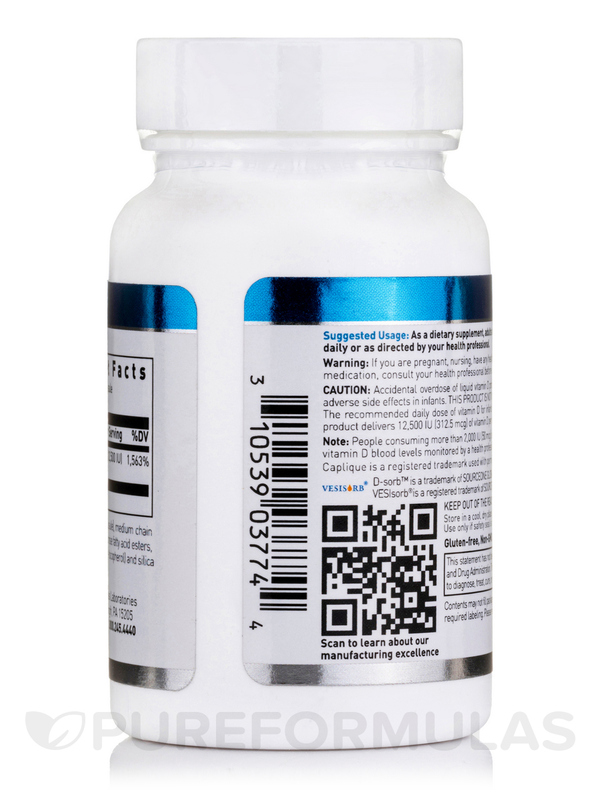 So try this high quality vitamin D supplement today! PureFormulas offers free shipping on all orders! 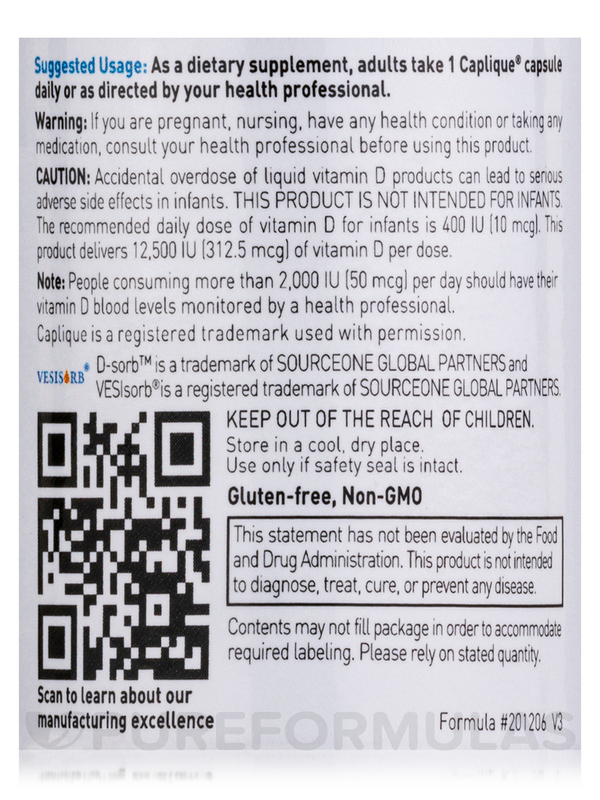 Other ingredients: Cellulose (capsule) medium chain triglycerides‚ polysorbate 80‚ sucrose fatty acid esters‚ fatty acids‚ vitamin E (as dl-alpha-Tocopherol) and silica. 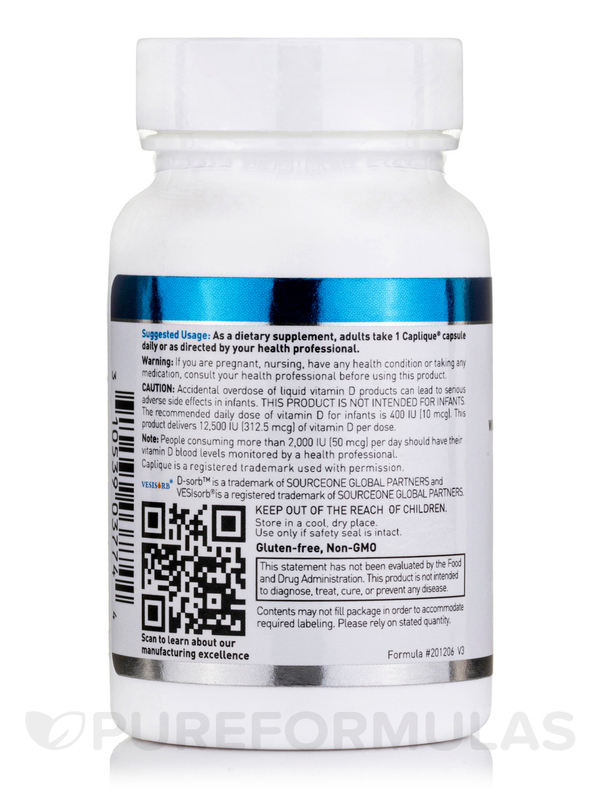 As a dietary supplement‚ adults take 1 Caplique®** capsule daily or as directed by your healthcare professional. People consuming more than 2‚000 IU per day should have their vitamin D blood levels monitored by a healthcare professional.